Container conversions – if you can conceive it, we can convert it! Container classrooms are ideal for remote areas or as temporary solutions while classrooms are being built. These hardy units will keep learners and teachers cool in the African sun and provide a safe, clean and attractive learning environment. Need a shop or depot for your products at a fraction of the building or rental cost? Then container shops are your answer! Whether it’s a spaza shop or high-end boutique – conversions can be made to suit your exact layout requirements and branding specifications. 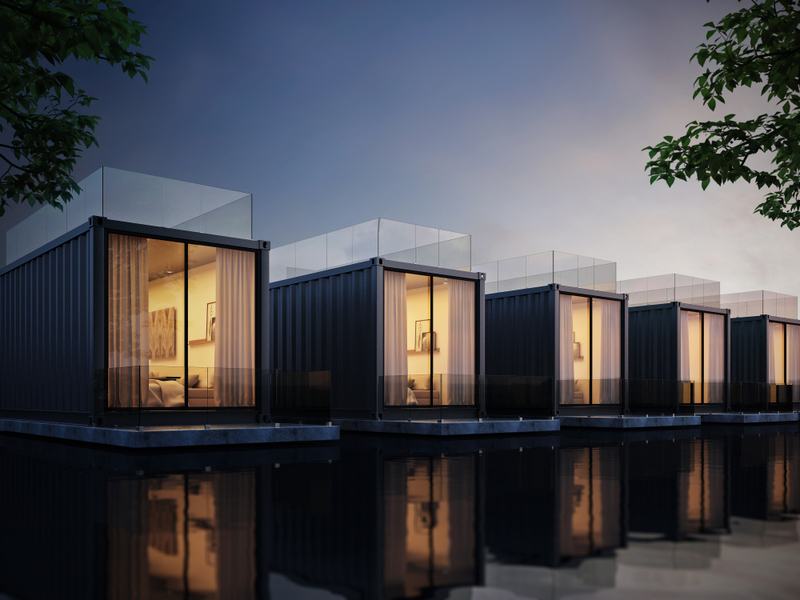 Using containers to build your dream home is becoming a growing international trend for a number of fantastic reasons. They’re cost-effective, sturdy, and really easy to put together as they’re built to stack on top of each other. What’s more, container homes are eco-friendly, which means it’s good for mother earth too. And as far as customisation goes, only your imagination can hold you back! Office containers make for a great permanent or temporary space solution. Aside from being secure, they are also fitted with all the amenities required for a fully operational business space, such as electricity, aircon, as well as customised decoration and branding. Other types of useful conversions include ablution facilities, workshops, medical and laboratory facilities, mcc rooms, greenhouses and even container pools! If you need quality container conversions, or any further information or assistance, be sure to contact A & A Containers today. You’re welcome to call 011-794 6571/6 or email: [email protected].